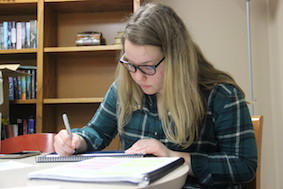 During fourth period on Thursday, Coppell High School senior Federica Ferrari prepares for an upcoming academic decathlon tournament in the CHS library. Ferrari is the captain for the 2016-2017 school year and has been a member of the academic decathlon team at CHS since her sophomore year. 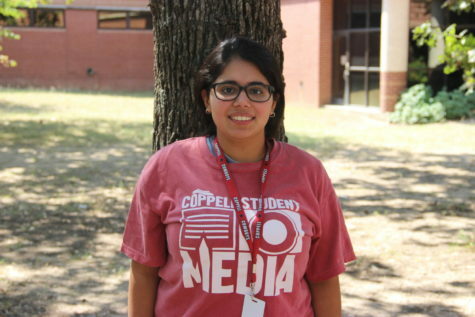 Coppell High School Senior Federica Ferrari has been in the Academic Decathlon (AcDec) program since her sophomore year. 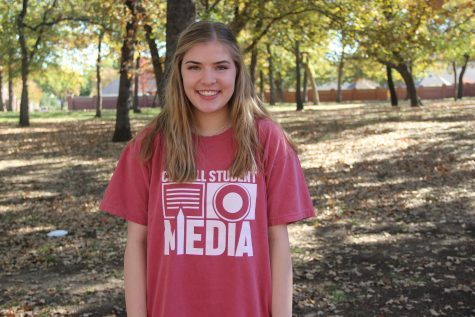 Her dedication to AcDec has paid off as she is now captain of the team. The following questions detail Ferrari’s experience in AcDec and their competitions. Describe your AcDec experience during competitions? Is there anything different between this competition and former ones? What inspired you to join AcDec? What challenges have you faced in AcDec competitions? Does what you learn in AcDec bleed into your normal life? What do you hope to achieve in this AcDec competition? What are your future plans for AcDec? How do you think these future plans will affect the program after you leave?